Laender’s talk, titled “Blockchain for Policy: a Pragmatic Assessment,” touched on topics such as blockchain enthusiasts’ relationship with organizations and institutions, collective decision-making, and digital citizenship. Laender noted that he prefers the term “tinkering” over design when it comes to ICT matters—while “design” connotes a more intentional focus, “tinkering” better represents the trial and error processes that better relate to ICT. We were grateful to have Laender speak at our seminar as he has an impressive and diverse background. He was policy advisor to the Strategic Affairs Secretariat of the President´s Office (SAE), and later became telecommunication advisor to the Chief of Staff of the Executive Office of the President (Casa Civil), where he coordinated the regulatory aspects of the Brazilian National Broadband Plan. He has a Law PhD from the University of Brasilia, where he is a fellow and founding member of the Telecommunication Law Research Group (Getel). 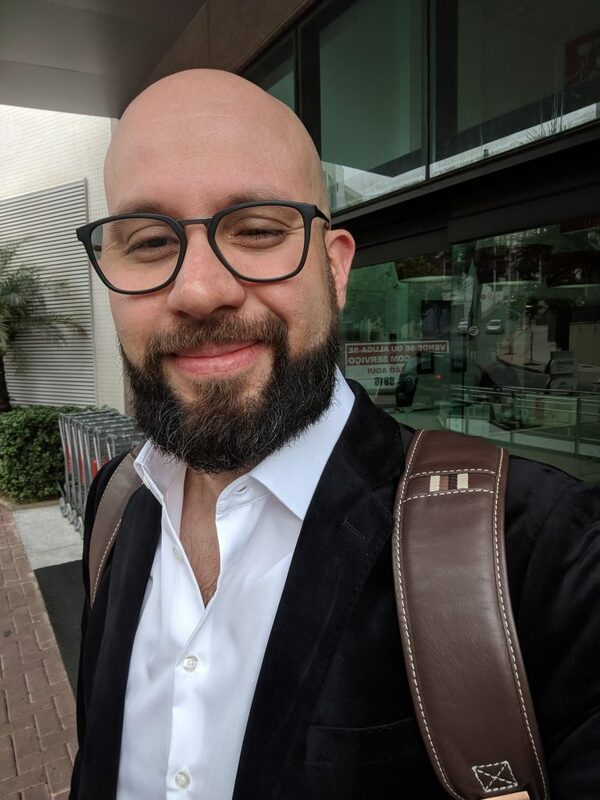 He is currently co-founder of leGit, a platform for open-sourcing legal documents, and one of the State Attorneys of the Espirito Santo State of Brazil. For more information on Laender’s guest talk, you can view his slides on LinkedIn. Thank you, Gabriel, for sharing this valuable information with ARNIC! Our next ARNIC seminar will take place on February 21 at 12:30pm with Dustin Phillips—more info to follow.